Today's entry on my list is a characterful squad based tactics game that has migrated from the 3DS to PC and iOS this year. 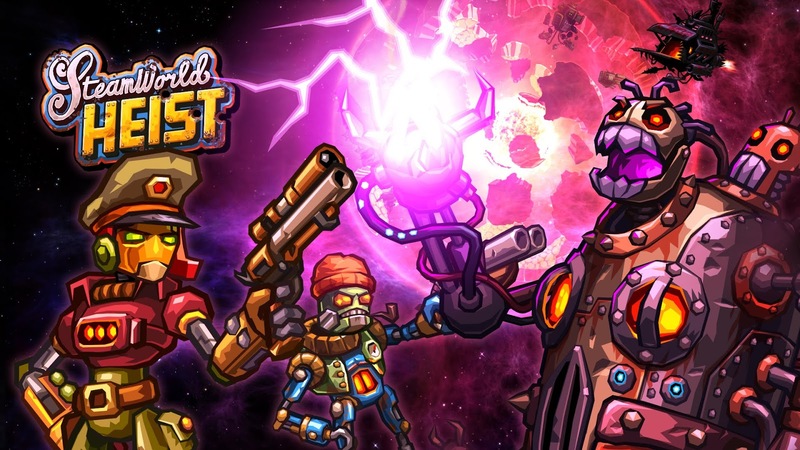 Steamworld Heist followed up Steamworld Dig, another game I thoroughly enjoyed, so I was excited for this one. Rather than make a sequel to the original title, the team at Swedish outfit Image and Form, opted to instead explore the same world with a totally different style of game. This time out we are in turn based squad territory, as your team of Robot privateers navigate side scrolling 2D levels in tactical combat. It sounds a little clunky upon first description, but it works, it really works. Gameplay wise there is a neat twist in that there are no 'hit or miss' dice rolls behind the scenes that you find in the likes of X-Com (and thus a lot less frustration). It's all down to how well you aim. Think of the mechanics that were central to the old 2D Worms games. The challenge ramps up nicely, even if it plateaus a little later on. It is also still absolutely dripping with character. The western meets space pirates theme works perfectly, and without just going "oh look Firefly did this, it's cool". The various pirates have character, and the world a logic and humor of it's own that remains consistently engaging. The game is also perfectly suited to the touch screen format on iOS. If anything, that might be the best version of the game. The game's mission based format also fits the mobile medium well, with it's relatively short play sessions. I like indie studios developing their own IPs with such passion and commitment. Well worth checking out!